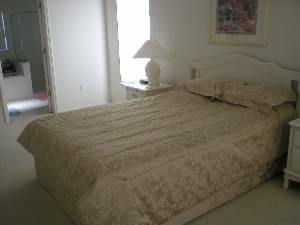 Bedding Information: 1 King ensuite, 1 double, 2 twins and double sofa bed. TRANQUIL retreat from the hustle and bustle of the parks, relax with a drink on a lounger by the pool. 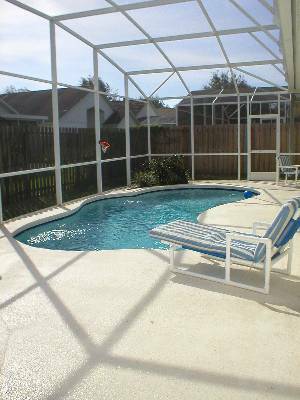 SECLUDED PRIVATE south facing pool for all day SUN. This tastfully furnished home has oodles of space for all the family with 2 lounges and large openplan fitted kitchen area, dining room and breakfast table looking out the patio door onto the pool. 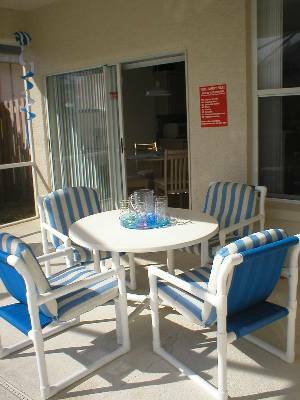 Large private pool with patio table, chairs and loungers. 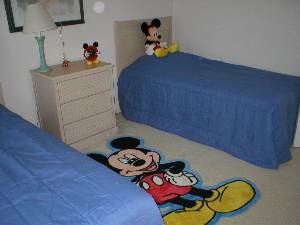 MICKEY AND MINNIE have their own room and they love visitors! 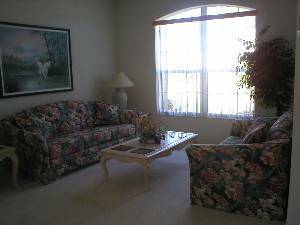 Cable TV DVD/VCR in lounge and TV's in both double rooms. Large 2 car garage. Single story villa in Fairway lakes Esprit, Davenport a GOLF community with CLUBHOUSE, TENNIS courts, community POOL, BASKETBALL and beautiful boating LAKE. Only 10 mins drive from DISNEY. 20 mins to SEWORLD and UNIVERSAL SUDIOS and 1 hour to the BEACH. 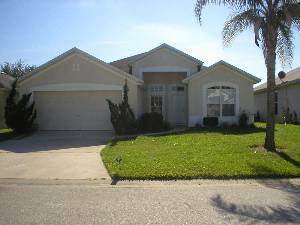 Quiet location 10mins from disney on golf community with private pool. Mickey and Minnie Live here. They love visitors. Large pool area secluded and sheltered. South facing, great for a winter break. The house was great. It was exactly as described and pictured on the internet. 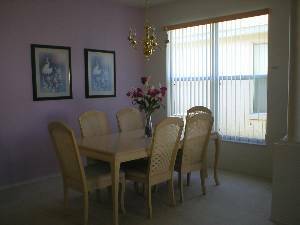 We have never rented a vacation home before, but after this experience, we'll be back! 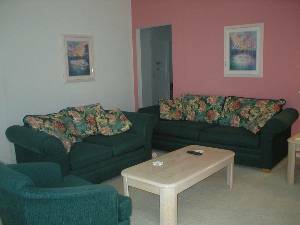 Discounts for extended stay. Late availability bargains.